According to the U.S. Consumer Product Safety Commission, clothes dryers account for roughly 15,600 fires annually, and the number one contributing factor to dryer fires is failing to clean built up lint. But homeowners aren’t the only folks forgetting to properly clean the lint from their dryers, those of us in the commercial laundry and dry cleaning business are guilty too. Given that October 9-15 is Fire Prevention Week, we thought this might be a good time to remind you why this simple little task is so important. 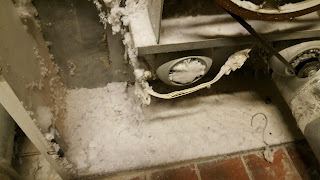 Below are some photos of the inside of a dryer from a nearby hotel that hadn’t been properly maintained. Clean the lint compartment after every load. When cleaning the filter, check for items that might have gotten trapped, such as dryer sheets, which can hamper proper air flow. Monthly, check the duct for lint and other items that might have made it past the filter. 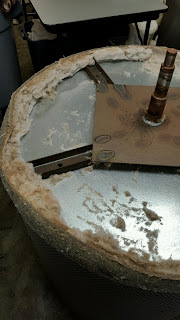 Also, vacuum the exhaust duct monthly to ensure proper airflow. Biannually or annually, have the entire dryer, including the lint filter system, thoroughly cleaned and maintained by a professional. These three simple steps will not only help reduce the chance of fire in your facility, but they will also help clothes dry more efficiently, and they will help keep your utility costs down. 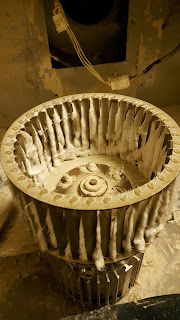 If you need help with commercial dryer maintenance, feel free to send us a message or give us a call at 1.866.885.5218.